Please sign in first so you can invite friends. Voucher will be emailed to you 10 days after your friend makes a purchase (discounting returns). Not valid for sale items, shipping fees or to be used with any other HULA promotion. If shopping currencies other than HK$, the voucher will be rounded up or down to the nearest denomination at prevailing exchange rates. 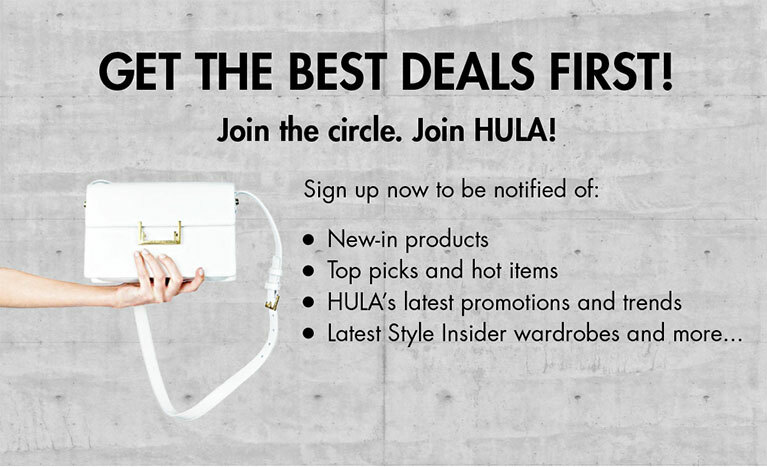 To protect privacy, emails entered will only visible to HULA once your friend signs up and not before. If you accumulate more than one voucher and would like to consolidate them simply let us know and we will send you a new voucher code. Your friends have been invited. However, if you listed other friends, they have since been invited.